The "Pambansang Captain" Jimmy "Mighty Mouse" Alapag of the Smart Gilas Pilipinas Basketball Team created a huge buzz in the world of internet last Sunday (October 12, 2014). Although this time, it was not because of a booming 3-pointer. 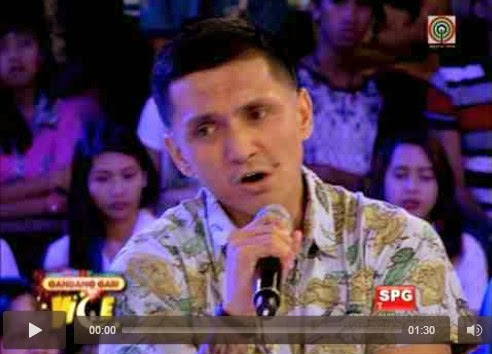 Jimmy unleashed his singing prowess on GGV (Gandang Gabi Vice) that captured the attention of the millions of netizens and tele-viewers. It was such as a momentous appearance as he swept Vice Ganda off her feet with his amazing rendition of "All of me" by John Legend. Take it from me, for a while, when I closed my eyes, I really thought it was John Legend himself singing the song.